Do you love the long-lasting quality of a cream blusher but dislikes how it's harder to blend than regular powder blush? Shu Uemura, surprisingly, came up with a cute blush called Creamy Dome Blusher under the Shu Uemura's Celestial Garden Collection! 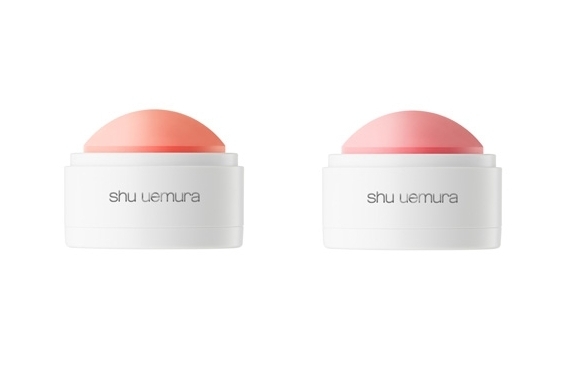 I've always known Shu Uemura as a brand who makes colorful yet seriously packaged products but this is something unique and worth the second look! 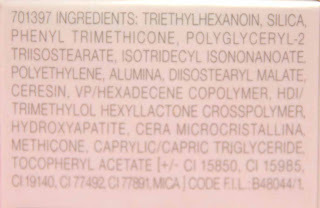 Read my review and see if it's worth to splurge on this product! 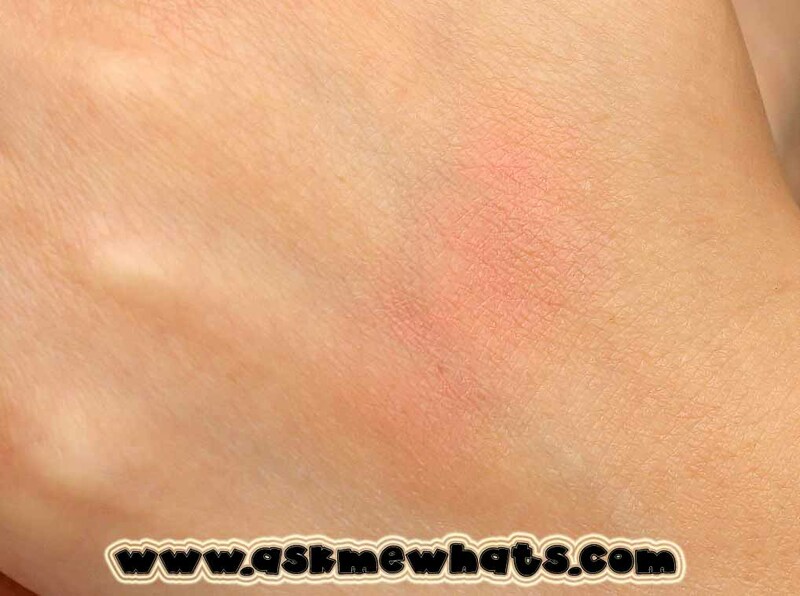 Dome shaped blusher in a silky cream texture which glides smoothly on your face, you can easily create a natural gradation by tapping on your cheeks. Super cute packaging with clear plastic top making it easy to see the shade right away. 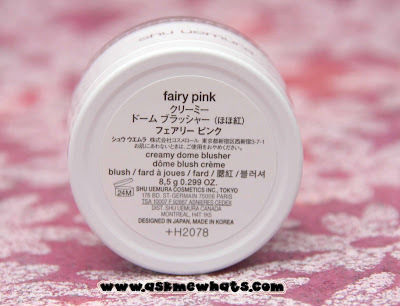 Though the name states "creamy dome blusher" the product is so easy to dab/apply and it does not create streaks on cheeks. Glides on smoothly and very easy to blend. Finishes up in powder form so even oily skinned individuals can use this! Not too long lasting as compared to other cream based blusher. 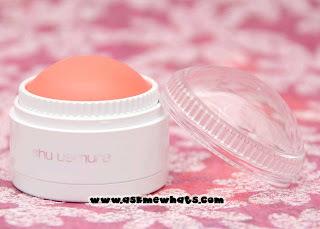 Though there are a whole lot of cream blushers out there, this one from Shu Uemura is quite unique in terms of its texture --- non-powdery to look at, easier to apply than regular cream blush and it finishes off in a powder form wherein "setting" isn't needed. Definitely lasts longer than regular powdered blush but not as long as regular cream blushers are cheek tints. Apply on top of your foundation. Use a dabbing motion if you prefer a super natural look. Apply directly with a sweeping motion for a heavier blushed look and blend with your fingers, brush or sponge. If you are a makeup artist and plan to use this on clients, apply with a sponge or foundation brush instead of applying the product directly on client's cheeks for hygiene. To choose the right shade for you, try on testers before you purchase. If you prefer a sparkly, shiny finish, you can always top the Shu Uemura Creamy Dome Blusher with your favorite shimmery blush. Give Shu Uemura branches a call before you head on and purchase as they are usually out of stock. Yes! I got discount coupons from the YUME Advanced Class over the weekend so I'll get the other shade! Anyone who likes the natural look of a cream blusher minus the hassle of application and the oily feel. At local Shu Uemura boutique for Php1,500 (approx $34.00). 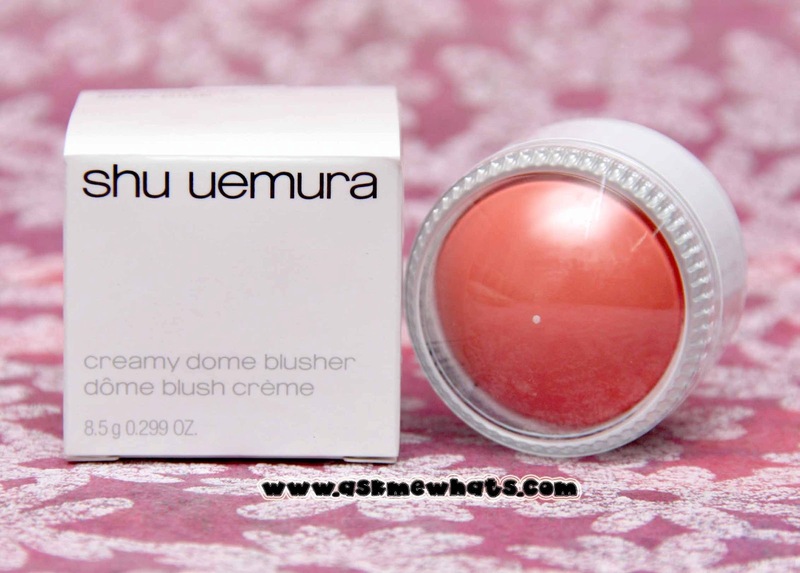 Would you splurge out Php1,500 for a limited edition Creamy Dome Blusher from Shu Uemura? I would as I find this very convenient to use and I can just re-apply anytime of the day without worrying much on "setting it". What a cute blush and the color is great :) Never seen anything like it. Really? I'm glad you've seen them first..HERE! heheheh I'm sure you'll see them around sooN! they are too cute for words! It looks so nice on ur cheeks! Lovely color! Dear! it's even better in person as the flash washed out a bit of the color, it's super matte pink and "doll like" in person, I'm sure you'll like them! i like how cute it looks! if i were to buy a gift, this may be something that i will pick because it's so cute! I agree, this looks super cute and perfect for gift giving! I think pwedeng gamitin ang brush or fingers, I agree with you, I wonder if it can be "clicked" trying so hard, read on website na pwede pero akin hindi! What a cute blush! It looks lovely on you!